When I was doing my usual research on some Philippines destinations and epic places for day trips near Manila, I stumbled across some photos of a place called Nagpatong Rock. I was immediately captivated by this unusual and unique looking rock formation. It basically looks like a sculptured giant rectangular block standing on its end. At first glance, I wasn’t sure how difficult it would be to get to the top of this rock. It looked like it was a fair challenge to reach the top of the rock but I figured that it must be fairly easy as there were numerous photos of people posing on top of the rock. Anyway, I was intrigued enough to do some further investigation. 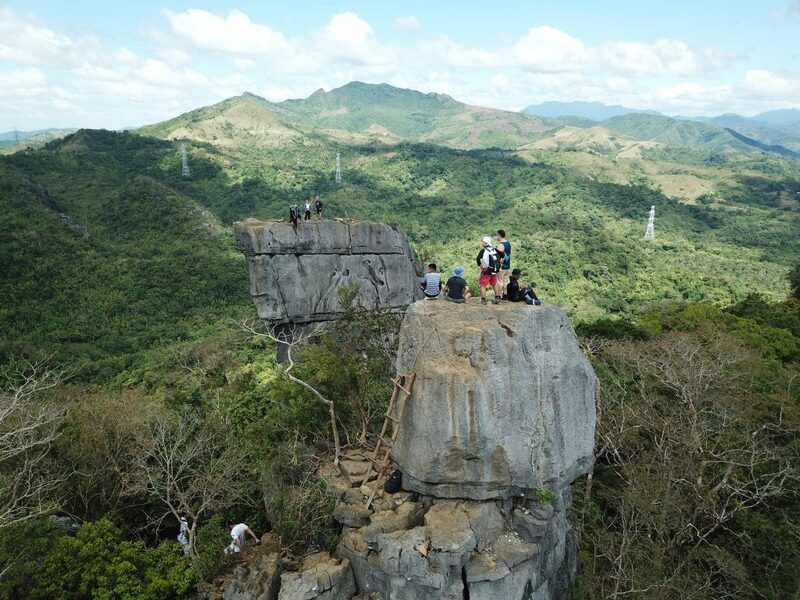 After reading a couple of other blogs about travel to Nagpatong Rock, I figured that although it was a difficult hike to get there and to also ascend up the rock itself, it wasn’t impossible. 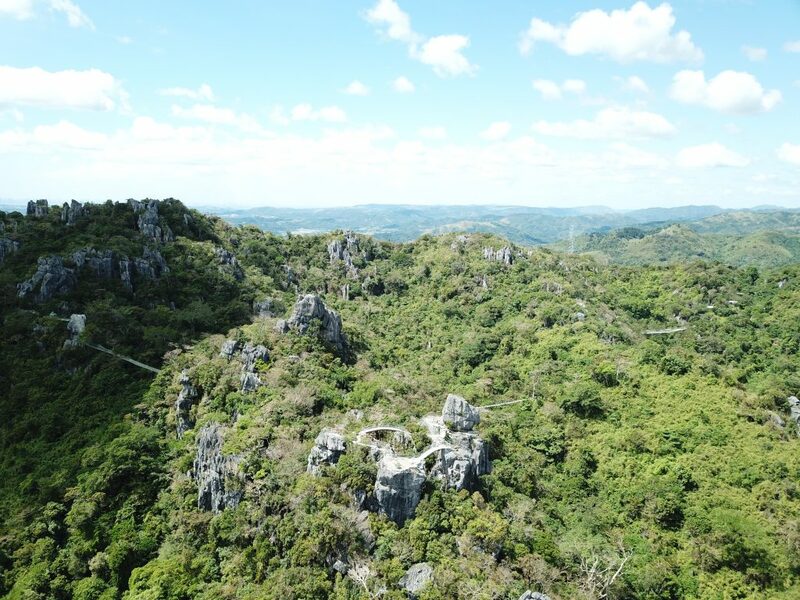 Being located in Tanay, Rizal, around two hours from Manila, the challenge was set to have a crack at it. For those of you who know me, I have a bunch of friends who, like myself, enjoy getting out of Manila on weekends for day trips. This group is referred to as “Deztiki Tours” and started in 2015. So for this year, it was our second Deztiki trip with our first outing being at Ambon Ambon Falls in Laguna. After rounding up about a dozen friends, we headed off to Nagpatong Rock. The great thing about this trip is that a friend of mine, who is an amateur drone operator, was available to join us. Based on the rock itself, and the surrounding landscape, I thought this would be a perfect location to get some epic aerial footage. The prospect of taking the drone with us got everybody very excited and gave us extra incentive to reach the top of the rock. We left Makati (Fort BGC) at around about 7 a.m. and after taking the wrong directions a couple of times along the way, we arrived just after 9 a.m.
For those that know me, I am a strong advocate of promoting the Philippines and the many beautiful places there are to the visit here. Hence the blog and website you find yourself reading right now. I do this so I can give my readers some tips and advice that I have learned from my mistakes. Or more to the point, the mistakes that are forced upon me such as those from this trip. I’m not going to sugar coat things and want to say it how it is. I do get continually frustrated about how this country can constantly shoot itself in the tourism foot. What I mean by this is that there are tons of amazing places to visit in this incredible country. This website is a testament to this. I have a vested interest in this country in that I have been living here since 2003. 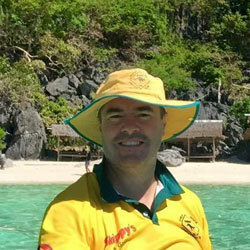 My wife is a Filipina and I have been married to her longer than we have been living here. I love this country and its people and I’m here for the long haul. That part is a given. However, having travelled all over this country, the lack of signage for tourists continues to frustrate me as I’m sure it does with many others, locals and foreigners alike. On this occasion, as per normal, the lack of signage made this place almost impossible to find. Due to this fact, Waze and Google Maps wasn’t 100% accurate either. We had to stop and ask for directions on a few occasions. Luckily for us, we had some Filipinos with us. 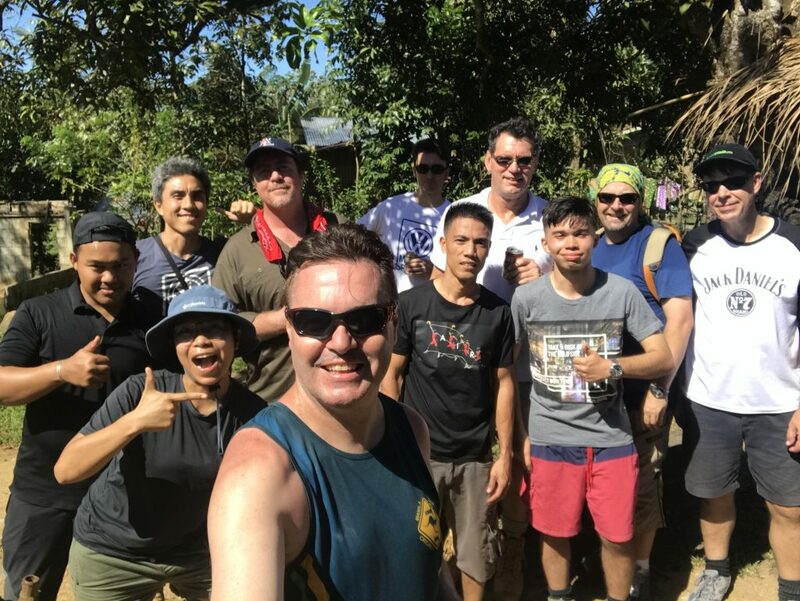 It would’ve been so much harder otherwise and I can see why some foreigners never leave Manila for these types of adventures which is a real shame. That is why I think that any travel advice I can share will help make things easier and more pleasurable when visiting some of the best places in the Philippines. If one can overcome this mental obstacle, believe me, it is worth it. This country and its people really do have so much fun and happiness to offer. This is the ONLY sign on the main highway at the entrance to the starting point. As you can see, there is no mention of Nagpatong Rock. If you’re coming from the Antipolo direction, you will drive straight past it. You will find yourself needing to stop and ask locals. We finally made it – or did we? When we finally reached the registration area, or what we thought was the registration area, we were told that the registration area was a couple of kilometres up the road (where we had more or less just come from). Where we were was the starting point for the hike! I’m not too sure why you would have the registration area in a separate location to the starting point however, this was the case. Luckily, our trusty Filipinos counterparts were able to organise the registration without the need for all of us to leave from the starting point. I’m still not sure exactly where they went, but after about 20 minutes, they returned. The registration was apparently now complete for the princely sum of P250 per person. This included two guides for our group and the registration fee for each person (11 x 250 = P2,750) and a bit extra as a tip for the guides. This is an absolute bargain in any man’s language. 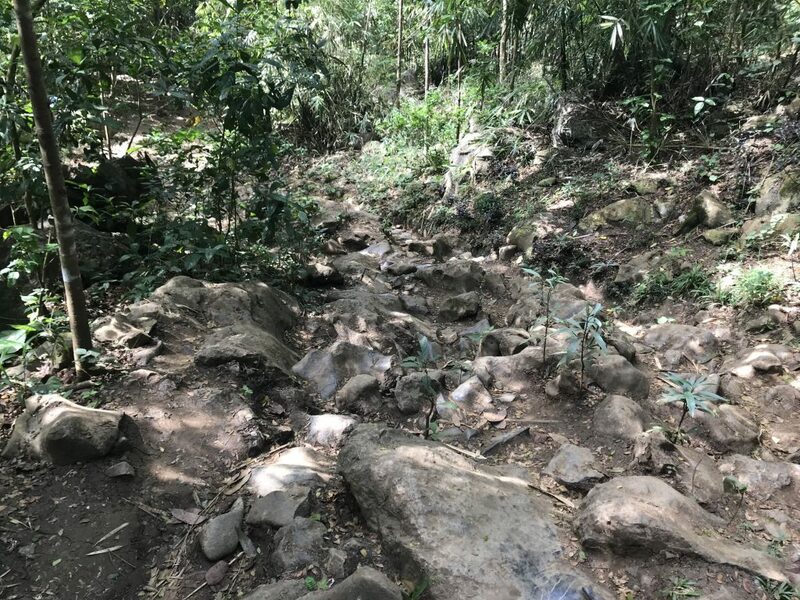 The hike started off easily enough on a well-worn track that dipped down and then gradually inclined upward for a distance of approximately 1km. After about 20 mins, you reach the first stop which has a little hut selling various drinks and snacks. This was set in a little bit of a clearing and you could see from there that it was starting to get quite mountainous and the forest was becoming thicker. You can see here that the trail is becoming very rocky so you have to be really careful with your footing. Walking to the next stop was somewhat more difficult. There isn’t that much of an incline on this track however, the track became very rocky. There were some parts where you almost needed to crawl on your hands and knees up the rocks to get to the next level. It wasn’t very vigorous but you really had to be careful where you placed your feet on each step. The next stop was at a base camp at the foothills of the actual rock formations that housed Nagpatong Rock. There were a number of huts scattered along the trail in which you could eat your lunch. There are a few snacks available but I would certainly recommend bringing your own picnic style lunch. We rested here for about 15 minutes before embarking on the final assault up to Nagpatong Rock. This is where the incline started to become a lot more difficult. The rocks here changed from boulders to limestone karsts and were quite jagged and pointy. This made it even more difficult to get your footing and also for your hands when it came to holding on for balance. 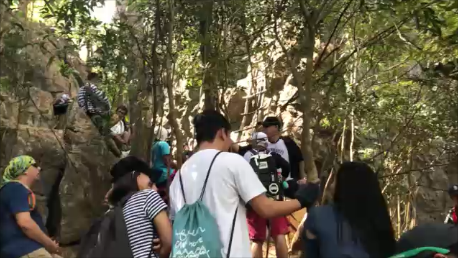 There was a “queue” of about 30 people waiting to climb up the ladder to the top of Nagpatong Rock. The dangerous climb certainly doesn’t seem to deter many people! After approximately two hours from the starting point, we reached the base of Nagpatong Rock. When we arrived, there was a crowd of about 30 people. Here you will find a fairly clandestine bamboo ladder which is used to scale the near vertical rock face to reach the top. Once you arrive, you literally need to take a number and wait in line as they send people up group by group. This is because the top of the rock can only safely accommodate approximately 20 people at a time. One of our guides told me that on a regular Saturday, they have anywhere between 700 to 1000 people do this trek and go to the top of the rock. So you can imagine how crowded it can get. The waiting didn’t deter me. As we were waiting in line, I asked one of our guides if there was anywhere we could go to look around. So he took us to another rock formation which also protrudes out of the landscape. This is approximately 30 metres away from Nagpatong Rock. It soon became apparent that this is the location where people get their photo taken from as they stand on top of Nagpatong Rock. I was told that for each group that goes to the top of the main rock, their guide scoots across to the “other rock” to take their photo. The guides certainly earn their keep! I have to admit, I was feeling nervous standing on top of this rock. It is only approximately 2 meters squared and there was a vertical drop the entire way around it. All it would take is for you to put your foot in the wrong area and you would not survive to tell the story. Not only would it be a long fall, but you would get sliced up by the naturally eroded limestone karsts surrounding the rock. 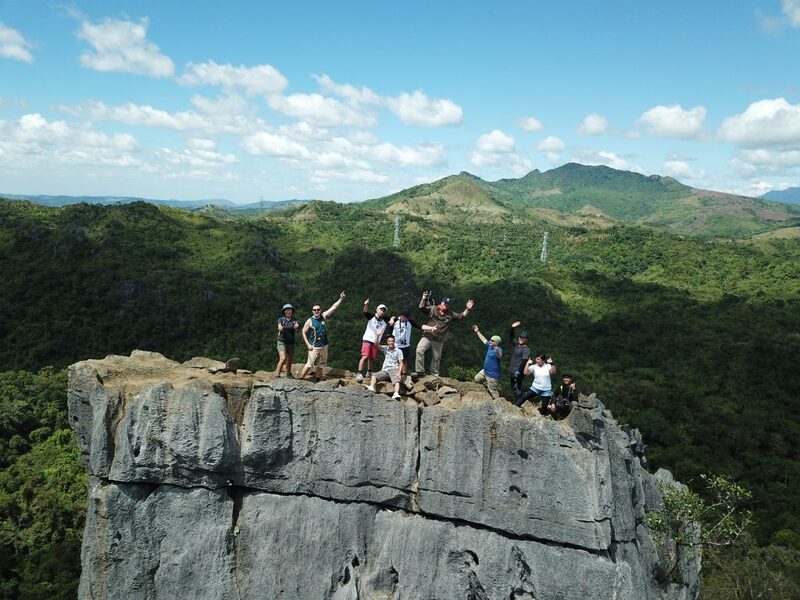 This is the view from the drone of us on top of the “other rock” in the foreground, with Nagpatong Rock in the background. You can see there isn’t much margin for error up there! Only a few of our group were brave enough to climb to the top of this section. The view from here was unbelievable as you get a good clear view of Nagpatong Rock. This is where we also got the drone out for the first time. We did a quick fly around as we prepared for the climb up Nagpatong Rock for the epic spectacle. The climb up to the top of Nagpatong Rock was a very scary experience. I was filled with nerves the entire way up and it was only adrenaline that kept me going. To get to the top, you need to climb about 25 metres more or less straight up the vertical face of the rock using the bamboo ladder. There are some ropes to hold onto as well as the actual bamboo ladders. However, it is a truly gravity-defying experience. To add to the nerves was the fact that there is no other safety equipment. Drone shot – we finally made it! What an amazing experience it was standing on top of this amazing rock formation. Truly mind-blowing. When we finally got to the top, we could see what all the hype was about. This truly is a remarkable experience with some of the best views I have ever seen. All of the limestone karsts that were scattered around the mountainside reminded me of Palawan, except that there was no water or beaches. This was just pure jungle. Once again, we got the drone fired up and spent about 20 minutes on top of the rock shooting some amazing footage with the drone. Here is a drone shot overlooking the neighbouring Masungi Georeserve. You can see all the limestone karsts scattered around that look like something from Palawan without the lagoons and ocean. Going back down the ladder was almost harder than going up the ladder. Taking extra care to make sure that my foot was firmly planted before putting any weight on it made me feel like gravity was working against me. My legs were a little wobbly from the nerves, but we all eventually made it back down safely. From there we had to walk back to the starting point which was a lot harder than I thought. Just like coming down from Nagpatong Rock, there were some parts of this trail that were harder going down than it was going up. By this time it was early afternoon and the sun was scorching hot and very draining on our energy levels. So after about 5 hours of some amazing views and scary experiences, we were done for the day and it was time to have a beer! The best part of the trip – beer time! We certainly deserved a drink after that gruelling hike, one of the toughest I have ever done. For those planning to visit Nagpatong Rock, I would seriously make sure that you are well prepared. This is right up there in probably the top 3 hardest hikes I have done in this country. It really isn’t for the faint-hearted. You should be relatively fit and healthy at a bare minimum, especially if you are crazy enough to go to the “other rock” as some of us did. I wouldn’t recommend this trek for kids below 15 years old. Anyone over the age of 50 should really think twice depending on their physical condition and their mental fortitude. I would fully recommend the use of gloves, good footwear (preferably hiking boots), hat, sunblock (or long sleeves) and plenty of water! I would also fully recommend taking your time. It can get crowded on the weekend, but just take your time due to the potential dangers. When driving there, this place is easy to miss if you aren’t on the ball. Here it is on Google Maps. 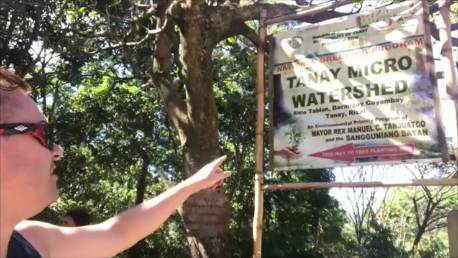 First, you need to look for Ynares Multi-Purpose Building in Cayumbay, Tanay, Rizal. You won’t see this from the highway and the turn off is very easy to miss. Then you have about 5-10 mins drive to the Ynares Multi-Purpose Building which is where you will register and pay the Registration Fee of P100/person (plus a Guide Fee of P500/5 people). If you have any trouble with directions, the friendly locals will help you out if you get into any trouble. Please like and share this article with friends and family or leave your comments below and please check out my related articles below.